There are certain elements of customer service culture that can either make it or break it. 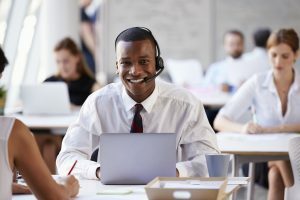 Creating a customer service culture with representatives who are content and actually believe in the company they’re promoting is crucial, but there are other factors that can affect how effective they are as a team. The importance of a positive customer service culture isn’t to be taken for granted—it can make the world of difference when it comes to creating loyal customers and retaining them for a long period of time. If you’d like to learn more about the importance of a positive customer service culture and the elements you need to foster one, keep on reading. Communication is the key element in creating a strong customer service culture. It’s easy for miscommunication to happen between customers and a company, especially when customer care agents aren’t clear about certain procedures. It’s important to make sure that the customer understands what’s going on with their problem or case so if there happen to be any delays with a solution, they’ll know why. Keeping the lines of communication open among staff members and with customer is essential. Ensure that your staff members are aware of the common goal and all strive to achieve the same thing. When call center representatives only look out for themselves and are unwilling to look out for other employees, your team won’t succeed. Instill a teamwork mentality in your employees and keep your company goal in the forefront of their minds. You’ll be able to see a difference when they all work together to achieve the same thing. If a consumer is calling your customer care line, it’s likely that they have an issue or question they’d like to be resolved. Calling your company and speaking to someone who isn’t 100% confident in their response and resolution will not only frustrate the customer, it’ll slow things down and end up costing your company money in the long run. 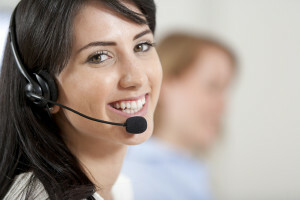 An inadequately trained employee risks giving the customer wrong information and will take a longer time to help them. Spending time thoroughly training employees will help shorten call times and leave customers happy and satisfied. Having policies in place that are meant to protect and benefit your customers is another way to foster a strong customer service environment. You can have the best customer service representative on the planet, but if your policies work against your customers, there’s nothing your reps will be able to do to make them happy. It’s imperative to create policies that will benefit you but that’ll also make your customers happy and not feel like they’re being cheated. If you need help with building a strong customer service culture, 3C Contact Services can help you. Our team of expert customer care specialists knows exactly how to create a positive environment for your customers and put them at ease regardless of their issue. Let 3C Contact Services help grow your business by providing exceptional customer service at every turn. Contact us today to learn more about our services and how they can benefit you.